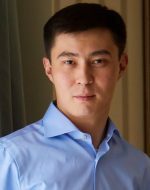 Dastanbek Yesdaulet is the project manager in "MICROMINE Central Asia". He has extensive experience in supporting projects in the mining industry. The main direction of the production management system, the integration of production systems. He is a Chartered Engineer of the integrated programming systems. Place of study: UK, Heriot-Watt University. Kazgeoportal.kz its a special web portal for investors and subsoil users of Kazakhstan where users will faced with possibilities to find any data of mine sites and consequently in the future it will be lead to attracting foreign investment. The target audience of the portal are subsoil users and investors.